Thomas Karako, Senior Fellow, International Security Program and Director, Missile Defense Project, “The 2019 Missile Defense Review: A Good Start,” Center for Strategic & International Studies, 17 January 2019. 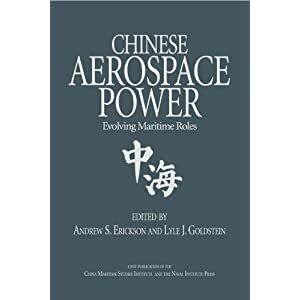 While Russia and China pose separate challenges and are distinct in many ways, both are enhancing their existing offensive missile systems and developing advanced sea- and air-launched cruise missiles as well as hypersonic capabilities. New ballistic missile systems feature multiple independently targetable reentry vehicles (MIRV) and maneuverable reentry vehicles (MaRV), along with decoys and jamming devices. Russia and China are developing advanced cruise missiles and hypersonic missile capabilities that can travel at exceptional speeds with unpredictable flight paths that challenge existing defensive systems. China. China seeks to displace the United States in the Indo-Pacific region and reorder the region to its advantage. Offensive missiles play an increasingly prominent role in China’s military modernization, its coercive threats, and efforts to counter U.S. military capabilities in the Indo-Pacific. It has deployed 75-100 ICBMs, including a new road-mobile system and a new multi-warhead version of its silo-based ICBM. Beijing also now possesses 4 advanced JIN-class ballistic missile submarines (SSBN), each capable of carrying 12 new submarine-launched ballistic missiles (SLBM), the CSS-N-14. 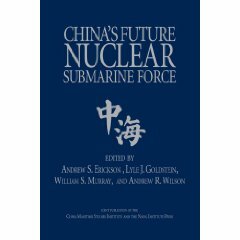 Consequently, China can now potentially threaten the United States with about 125 nuclear missiles, some capable of employing multiple warheads, and its nuclear forces will increase in the coming years. Beijing also is developing advanced technologies, such as MaRVs and HGVs. China. China is also developing missile capabilities intended to deny the United States the capability and freedom of action to protect U.S. allies and partners in Asia. A key component of China’s military modernization is its conventional ballistic missile arsenal designed to prevent U.S. military access to support regional allies and partners. China is improving its ability to strike regional targets, such as U.S. bases and naval assets, at greater ranges with the addition of the growing number of medium- and intermediate-range ballistic missiles. This includes sophisticated anti-ship ballistic missiles that pose a direct threat to U.S. aircraft carriers. 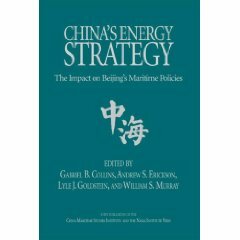 China also has ground- and air-launched LACMs, and is developing HGVs and new MaRVs. These and other wide-ranging developments in China’s expansive offensive missile arsenal pose a potential nuclear and non-nuclear threat to U.S. forces deployed abroad, and are of acute concern to U.S. allies and partners in the Indo-Pacific region. Despite frequently criticizing the United States and allies for developing and fielding missile defense systems, potential adversaries have long made substantial investments in their own missile defense systems. Russia and China are also developing ASAT capabilities that could threaten U.S. space-based assets. China is aggressively pursuing a wide range of mobile air and missile defense capabilities, including the purchase of S-400 systems from Russia, each with four interceptor missiles, and is developing additional theater ballistic missile defense systems. China also has announced that it is testing a new mid-course missile defense system. Further, China is developing a suite of antisatellite weapons, continues to launch “experimental” satellites that conduct sophisticated on-orbit activities to advance counterspace capabilities, and has conducted multiple ASAT tests using ground-launched missiles. China has adopted an increasingly assertive posture in disputes with its neighbors, many of whom are U.S. allies or partners. These include disputes over territorial boundaries, claims to contested island territory, and a campaign to build and militarize islands in the South China Sea. The military forces and doctrines of these and other states feature offensive missile capabilities that are growing rapidly in size, sophistication and prominence. Figure 2. Current and Future Potential Adversary Offensive Missile Capabilities. Russia and China also are expanding and modernizing their strategic offensive missile systems, including the development of advanced technologies. The United States relies on nuclear deterrence to prevent potential Russian or Chinese nuclear attacks employing their large and technically sophisticated intercontinental missile systems. Figure 3. Intercontinental Ballistic Missiles. Select missiles shown for illustrative purposes. Figure 4. Submarine-Launched Ballistic Missiles. Select missiles shown for illustrative purposes. China seeks to displace the United States in the Indo-Pacific region and reorder the region to its advantage. China’s missiles play an increasingly prominent role in its military modernization, its coercive threats, and efforts to counter U.S. military capabilities in the Indo-Pacific. China continues to have one of the most active and diverse ballistic missile development programs in the world. It has deployed 75-100 ICBMs, including a new road-mobile system and a new multi-warhead version of its silo-based ICBM. Beijing now possesses four advanced JIN-class ballistic missile submarines (SSBN), each capable of carrying 12 new SLBMs, the CSS-N-14. Consequently, China can now potentially threaten the United States with about 125 nuclear missiles, some capable of employing multiple warheads, and its nuclear forces will increase in the coming years. Beijing is also developing advanced technologies such as MaRVs and HGVs. Figure 9. Short-Range Ballistic Missiles. Select missiles shown for illustrative purposes. China is also developing missile capabilities intended to deny the United States the capability and freedom of action to protect U.S. allies and partners in Asia. A key component of China’s military modernization is its conventional ballistic missile arsenal designed to prevent U.S. military access to support regional allies and partners. China is augmenting its SRBM force as well as improving its ability to strike regional targets, such as U.S. bases and naval assets, at greater ranges with the addition of a growing number of medium- and intermediate-range ballistic missiles. This includes sophisticated anti-ship ballistic missiles that pose a direct threat to U.S. aircraft carriers. 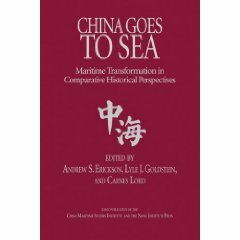 China also has ground- and air-launched LACMs, and is developing HGVs and new MaRVs. These and other wide-ranging developments in China’s expansive offensive missile arsenal pose a potential nuclear and non-nuclear threat to the U.S. forces deployed abroad, and are of acute concern to U.S. allies and partners in the Indo-Pacific region. Figure 14. Selected Chinese Regional Missile Systems. with four interceptor missiles. These are expected to be delivered to China in 2018. China also has announced that it is testing a new mid-course missile defense system with plans to develop sea-based mid-course ballistic missile defense, and is developing additional theater ballistic missile defense systems. Since July 2017, China has conducted at least two tests of its mid-course missile defense system. Further, China is developing a suite of ASAT weapons, including ground-launched missiles and directed-energy weapons, and continues to launch “experimental” satellites that conduct sophisticated on-orbit activities to advance counterspace capabilities. China has conducted multiple ASAT tests using ground-launched missiles, and, in fact, destroyed a satellite in orbit in 2007. Figure 16. Chinese Missile Defense Systems. Since the Soviet era, Moscow and Russia-based entities have provided offensive missile strike expertise and technology to China, North Korea, Iran, and Syria. They also have provided missile defense expertise and technology to China and Iran. In some cases, their arms transfers violated U.N. sanctions and international norms. In many cases, the Soviet-exported offensive missile systems provided the basis for today’s missile capabilities fielded by China, North Korea, and Iran. Russian-made offensive missile systems, and those derived from Russian technology, are now fielded globally and employed in multiple conflicts around the world. In addition, Russia markets cruise missiles in standard shipping containers to foreign buyers. Chinese entities have assisted Iran, North Korea, and others in developing their missile programs. For example, the wheeled chassis used by North Korea for its mobile ICBM launchers were originally obtained in 2011 from Chinese sources. In turn, expertise and technology provided to these states by Chinese sources could be transferred to additional state and non-state actors. Potential adversaries continue to expand the capability and capacity of their regional offensive missile inventories. Russia, for example, has developed and fielded ballistic missiles and land- attack cruise missiles that can strike targets throughout Eurasia. China has the world’s most active ballistic missile development program, and is developing HGVs capable of striking targets across multiple regions. The United States will continue to strengthen its efforts to deter and counter these rapidly advancing regional offensive missile capabilities, and those of North Korea and Iran. Today there are 38 operational multi-mission Aegis BMD-capable ships, with plans to increase that number to 60 by the end of FY 2023. The Navy and MDA will jointly develop a plan to convert all Aegis destroyers to be fully missile defense capable, including against ballistic missiles, within 10 years. This plan will be delivered to USDA&S, USDR&E, and USDP within six months of the release of the MDR.